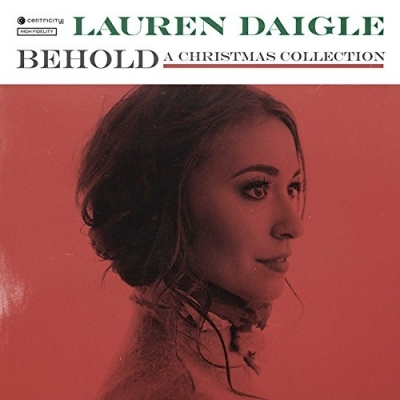 Lauren Daigle adds a dusting of jazz to her version of Jingle Bells. The instrumental work and the uptempo speed of the song are wonderful. The jazz sounds take a smooth twist with the well known classic Have Yourself A Merry Little Christmas. Imagine this playing in the perfect warm Christmas scene, imagine a roaring open fire, candles lit, Christmas tree twinkling softly in the background when you're listening to this album, but especially this song. Lauren's version is a beautiful rendition of the song. Read More Lauren Daigle adds a dusting of jazz to her version of Jingle Bells. The instrumental work and the uptempo speed of the song are wonderful. The jazz sounds take a smooth twist with the well known classic Have Yourself A Merry Little Christmas. Imagine this playing in the perfect warm Christmas scene, imagine a roaring open fire, candles lit, Christmas tree twinkling softly in the background when you're listening to this album, but especially this song. Lauren's version is a beautiful rendition of the song. There is an easy tendency to think Michael Bubble when you says Jazzy Christmas music. This album is far from that. Songs like 'Light of The World' (not the Tim Hughes track) pushes the album in a very different direction to the Bubble Jazz effect. Vocally this song is stunning. I could listen to Lauren's vocals skim over those melody lines time and time again, especially in the chorus of Light of The World. The jazz element continues in the music throughout the album. The sound of the drums and bass are fantastic and Lauren's vocals really add to it. Interestingly the song that has the biggest twist is O Come Let Us Adore Him, which has a very strange haunting sound to it, especially at the start of the song. I kind of like it, but that might be because it is very different. Some people will love this, some will not, but it does hold true to the jazz character. It goes without saying, but not only are the vocals on this record amazing, the power on tracks like O Holy Night are phenomenal and the hushed tones on Silent Night are stunning. What I also love about this record is the clever musicianship that's simply put, brilliant. It's not only beautiful, it's also top quality and creative. The way the producer has captured 'that' sound must be commended. I would highly recommend this album. There are so many great curve ball moments, it's a real joy to explore. Christmas albums can in general sound the same, with the same set of songs. Yet this album leaves the listener with that warm feeling. So put on the fire, make yourself a mulled wine or Gingerbread latte, close the curtains and just leave the Christmas trees lights glowing through the room and put this album on, you will not be disappointed.